About 2, 000 textile workers of Nigerian Braiding Manufacturers (NBM) in Kano are on the verge of joining the league of unemployed citizens as the Asset Management Corporation of Nigeria AMCON is allegedly making moves to begin sale process of the company over a N1.5bn debt. The unaided workers comprising 400 staff and over 1, 500 casuals were neither paid their December, 2018 salaries nor the usual end of the year package and allowances, hence, they are being subjected to untold hardship following the sealing off of the company by the AMCON appointed receiver, Yakubu Fobur after securing a federal court order dated the 11th November, 2018..
Forty days after NBM Company was sealed, the workers are still coming to work. They stay at the entrance gate daily till close hour, hoping to get succour of a possible resolve of the parties to settle the matter amicably. However, this has not been forthcoming. One of the workers, who preferred anonymity, expressed dismay over the development following the untold hardship being meted out to them after the closure. “We came to work on that faithful day only for us to realise that the place had been sealed off. I am very sick, I have my drugs inside the company, no money to buy another one and they denied me access to pick the drugs,” she lamented. “We were not paid ten kobo in December during Christmas, no bonus, no allowance, no overtime payment. Our accountant attempted to pick the list of those on the payroll to enable them pay us money, but to no avail. See me on sleepers, we have been coming here daily and this will continue till when the matter is resolved because we have no place to go,” she added. Another worker, Mohammed Umar, said he can no longer perform his responsibility as a father, adding that his children were almost dying of starvation due to the impulsive closure. “As you can see, I’m frustrated, being starved, my children and I are hungry, we can only hope for something better,” Umar explained. The National Union of Textile, Garment and Tailoring Workers of Nigeria through its chairman, comrade Ali Baba waded into the situation, but he lamented that his efforts were frustrated by the AMCON’s appointed receiver, Yakubu Fobur who had since gone into hiding. He threatened to mobilise workers to resist any move to value the company’s facilities as part of the sale process being made by the receiver. Trouble started sometimes in the year 2000 when the NBM took an overdraft of over N100 million from the defunct Oceanic bank, the cash deposit bank which was later acquired by Ecobank. The NBM’s accountant, Lawrence Peter Kanu confirmed the receipt of the overdraft but claimed that the exorbitant charges of interest contrary to the stipulated rate prompted the company to seek legal redress at a Kano High Court. 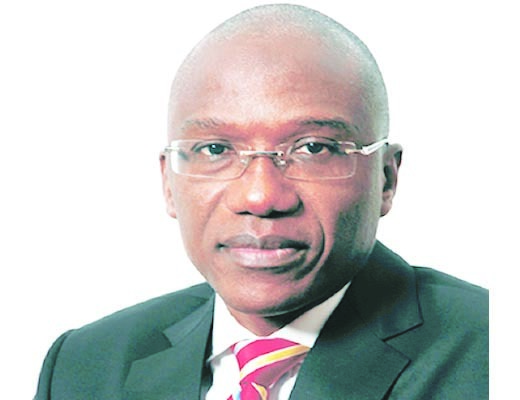 While the case is still pending before the court for six years, the company was assigned to AMCON to take over its physical possession; hence the latter thereafter appointed Yakubu Fobur as a receiver to enforce its statutory tasks as a body saddled with the responsibility of recovering non performing loan. Responding, Fobur claimed that AMCON was not a party to the pending case in the State High Court and he as a client is only enforcing the AMCON’s statutory responsibilities as a receiver of the NBM company. According to him, “I have the right to guide the AMCON’s appointed firm to value the company’s worth and to sell it off if the parties fail to reach a compromise,” he explained.